Firstly, I am not a record expert. These records are to be played and to create joy & fun! Hope you still have or are getting a turntable! I love mine! The jacket cover on this album is aging- and has some sleeve splitting on upper right- it has also the original owners vintage name label on upper left of cover. The back is yellowing from age. 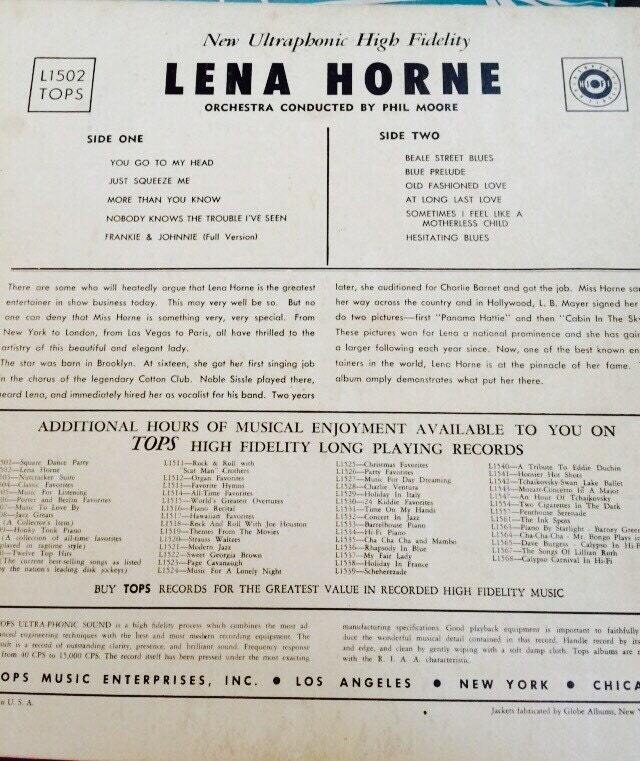 There is a fantastic bio about Lena on the back of jacket as well as the playlist that I have photographed. The vinyl is super heavy weight and near mint without any scratches. Play tested too- had to! 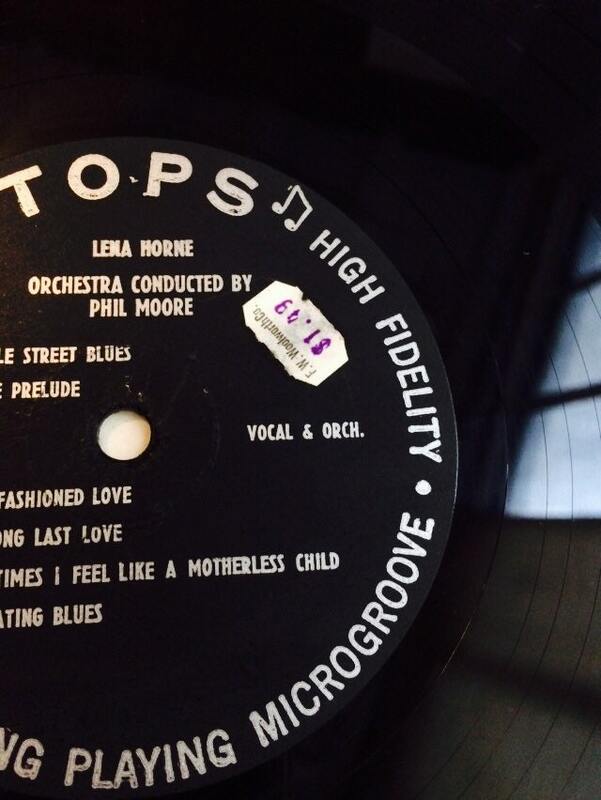 And the coolest thing is it has it's original Woolworth's price tag still attached to the record: ) nice touch. This is a nice piece of nostalgia and I tissue and ship all records in proper record boxes. Add one more for only an extra $5.00 shipping too- and get your collection of ambiance & fun started! Records are the coolest! 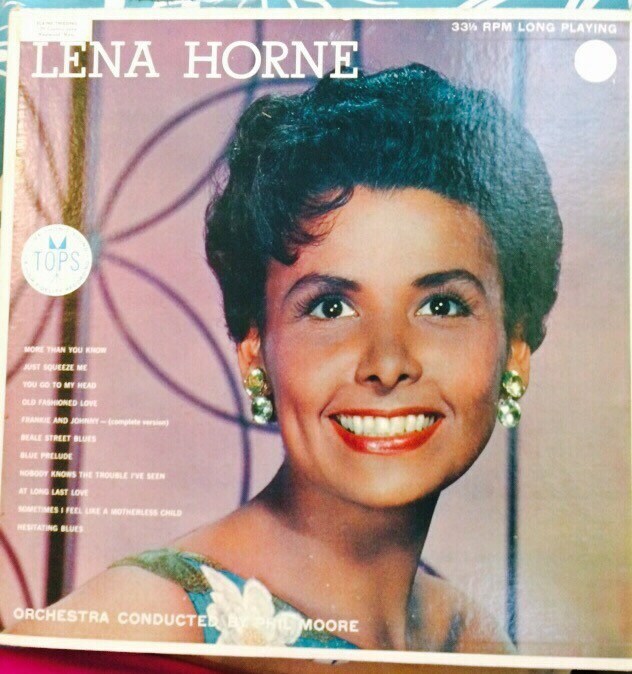 And this cover photo of Lena is gorgeous!